On Tuesday, testing China’s statement, the U.S. military flew two B-52 bombers over the Islands. On the ground, a B-52 bomber is a sight to behold. With its vast wingspan and sharp nose, it assumes an angry demeanor, like a hungry bird of prey, desperate to be unleashed. In the air however, a B-52 becomes downright menacing. Watching from the ground, its power assumes a seeming omnipotence. It’s why the B-52 has endured since the 1950s. It’s also why, at least for the moment, the B-52 makes a perfect diplomatic messenger to China. Let’s be clear, this isn’t about showboating or gung-ho warmongering. It’s about projecting resolve and power. This is about the physical manifestation of Teddy Roosevelt’s eloquent lesson: “Speak softly and carry a big stick.” And it’s no longer avoidable. While China has long been comfortable in applying threat and force toward an ever-expanding zone of hegemony, in recent years, it has become increasingly aggressive in this pursuit. Whether concerning the Philippines and the Spratly Islands, or Vietnam and the Paracel Islands, China is sending an unmistakable signal: We believe we’re the regional superpower, and we’re not here to negotiate. Except China isn’t the regional superpower. The United States is. For three reasons in particular, this is a reality that the US must now reinforce. For a start, this understanding of power concerns a fundamental question of human well-being. On the one side is China. Here we see a nation that rests on a political structure of inherent conflict. While a small group of plutocrats dominate China’s political, military, and social life, the vast majority and especially those in rural communities are left to suffer in economic despair and social immovability. Not only that, the Chinese government continues to regard human rights as an obstacle rather than opportunity for state power. On the other side is South Korea and Japan. To be sure, these nations face problems. Still, their story of shared prosperity and freedom is a telling one. Though not without controversy, the positive umbrella of American support and protection is proved in the living standards that these citizens have come to enjoy. In short, the United States has been and continues to be a great force for good. Second, the United States plays a defining role in the service of regional stability. Protecting the unencumbered movement of goods across the Pacific, the U.S. facilitates broader interests of economic development, democracy, and civil society. Across these sea-lanes flows the trade that brings citizens out of poverty and into a mutually dependent and mutually beneficial global economy. America’s role in keeping the waters of the Pacific both free and safe is therefore of profound importance. Third, as China continues its economic and military advance, the United States will increasingly shape how the Chinese government chooses to apply its increasing power — specifically, whether China pursue its interests in ways that are conducive to peace. 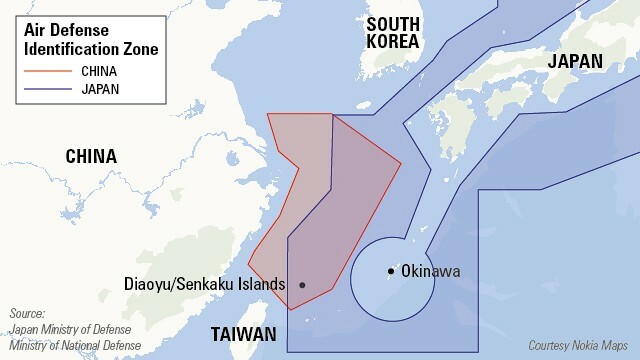 In issuing this new ADIZ, the Chinese are quite literally testing the waters. Perhaps motivated by American equivocation in face of Assad, they’re trying to figure out whether or not the United States has the willpower to stand up for American allies — and whether American red lines are real anymore. China’s strategy reveals a deeper truth of international relations. Without the backup of military power and the will to use it, security treaties have no value. Faced with China’s ADIZ and the overt challenge it poses to regional security, America’s response won’t simply determine the evolving security environment in the Pacific, it will also greatly affect how nations such as Iran view and respond to American power. In the years ahead, it’s certain that the East China Sea will remain a tense geostrategic environment. It’s also true that sensible American policy will require a careful calibration. As with North Korea, American resolve will be instrumental to the advancement of peace and security in the East Asian Pacific. But ultimately, we cannot allow our relationship with China to follow in the path of our relationship with North Korea. Just as U.S. interests will require the occasional show of force, overly adversarial behavior will unnecessarily inflame Chinese mistrust and spur negative action. We’ll need continued dialogue and engagement. Nevertheless, if we acquiesce in the face of intimidation, our alliances will collapse, our interests will wither, and our values will be rendered meaningless in face of a new superpower of greater resolve.